This natural vat dye exists in plants all over the world and is virtually the only blue dye that occurs in nature. Indigo has a fascinating history, and it is equally fascinating to use: The blue color “magically” appears as dipped fabric is exposed to oxygen in the air! 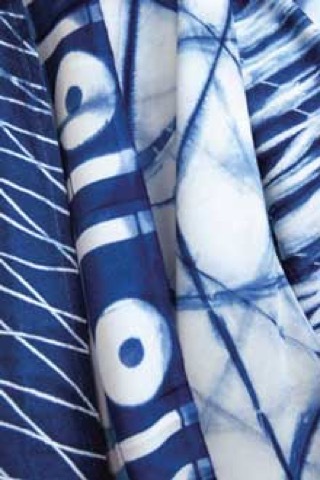 This unique property sets indigo apart from every other dye and makes it especially well-suited for patterning fabric. The dye produces a wide range of blues, from a pale sky blue to the darkest navy. Prized by countless cultures for millennia, indigo is still used today for coloring blue jeans. Jacquard’s indigo is a synthetic organic and comes pre-reduced 60% for unprecedented ease of use.